The American Pleasure Products brand took home the award for Best Male Product Range for its Main Squeeze collection, for the second year in a row. 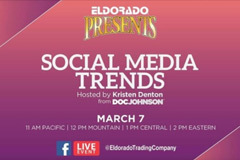 Eldorado has partnered with Doc Johnson for a Facebook Live event on March 7, which will discuss the power of social media and how retailers can utilize social media to connect with new and existing customers. 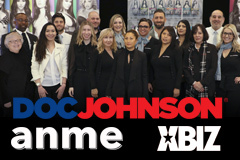 Doc Johnson is proud to report a successful exhibition at the 2019 January ANME Show, held at the Los Angeles Burbank Airport Marriott on Sunday, Jan. 13 and Monday Jan. 14.